Leviton 2-Gang Standard size single receptacle wallplate features 302 stainless steel construction with smooth finish. It measures 4.5-Inch x 2.75-Inch. 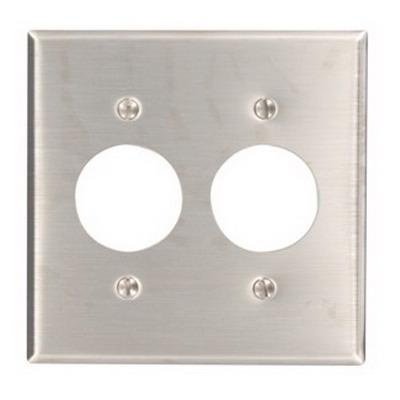 This non-magnetic rectangular wallplate with 1.406-Inch hole Dia, is device mountable. It comes with plated steel terminal screws and plated steel grounding screws. Receptacle wallplate is UL listed and CSA certified.